“I had the Grand Banks board of Directors on the boat today and they thought the boat looked like new. Thanks to your crew for a marvelous job.”Wences: It was great to speak to you today as well. Thank you for your friendship and great attention to Sanctuary. Thanks to you and your crew she remains after 9 years as a beautiful boat that draws many compliments as “new”.  “I wanted to take a moment and thank you and your knowledgeable crew for providing us with many years of quality detailing services for our new and previously owned yachts. One of the things I really like about your company is that you’ve never said to use that the job is too small or too large; you usually finish in the time frame that you quote and within budget as well. The clients that I have sent your way have always been very pleased with your work. If anyone had concerns you personally meet with them or I to make sure the work was done to the client’s satisfaction.  “I would like thank you and your organization for the professional manner in which you handled the care of our yacht during the period it was for sale in Seattle. Most impressive was the extent to which you kept an eye of things for us and worked hard to do the best work for competitive pricing. Please charge invoice to credit card you have on file. Could you also email me a “PAID” invoice once the card is charged. Thanks for the great work. Thanks for the great work and great communication. I would recommend calling Bow 2 Stern regarding washing, waxing, detailing your boat in preparation for listing it for sale. They have worked on my personal boat and done great work. As a self employed Motor Yacht Captain for the past thirty six years, I provide safe, professional and reliable service to my clients. I treat each one like the valued customer that they are and give them value for their money. That is exactly what I get from Wences and Bow to Stern all of the time…………………..every time. The boat looks better than it was delivered new 12 years ago. When I first saw it, I thought you had replaced the teak, instead of cleaning it.